When it comes to weddings, the dress is often the most important aspect - the gown the bride will wear as she walks down the aisle and into her new married life can be one of the hardest decisions of the entire wedding planning process. Browse the pages of wedding magazines and pore over internet wedding designer sites and make a note of styles and designers you like. Familiarise yourself with the kind of terminology used so you can accurately convey what design you’re after. 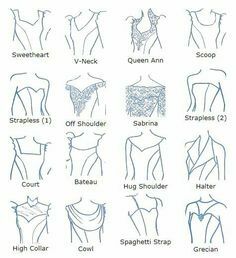 Even if it doesn’t look good on the hanger, try it on anyway - you’ll be surprised what looks good on your body shape and vice versa - a style you've seen on a mannequin or in a magazine may be the worst style for your shape, so just try things on and get a feel for what suits you best. Complement that by trying different necklines and silhouettes, cuts and styles to find what will best simultaneously diminish problem areas and highlight good ones. Even ruching and beading can draw attention away from certain areas and provide embellishment or sparkle at the same time. You’ll need to keep in mind that it will take between 3 and 6 months to receive your dress through a boutique or between 6 – 9 months for a custom-made gown, plus you’ll need to leave a few extra weeks for alterations before the wedding. You may find what you want off-the-rack but you’ll also pay around $100 as a ‘try-on fee’ (usually credited towards your gown purchase instore) and most dresses will be in sample sizes or not available off-the-rack so there will be a wait either way. Remember that you’ll be contorting yourself in all directions – sitting, dancing, posing for photos, standing for long periods of time and trying to take a ladies break all while wearing this gown, so it needs to be comfortable and unrestrictive. Ordering dresses online may seem a cheaper and easier alternative but more often than not, the product isn’t what was ordered, is made using inferior work, isn’t made to the provided sizing even though you gave them around 20-25 different measurements of your body and add to that, the cost of rush alterations, import taxes, delivery fess and usually, a replacement gown and you may as well have just bought a dress locally from the outset. We constantly hear horror stories from bridal boutiques of brides who have ordered online only to end up at the boutiques in a panic a few weeks before the wedding because of disasters with online ordering. Buying locally from a reputable vendor or having something custom made means you have the ability to go in for regular fittings and alterations and to see the product from start to finish. You’ll be able to choose your fabric and not end up with an inferior fabric that wasn’t outlined in the online copy - not to mention that buying locally is much more effortless and therefore again, takes away unnecessary stress. Many brides-to-be think that ordering online is far cheaper and easier however ordering from a gown designer can most of the time be relateively inexpensive and save you a significant amount of stress. Our favourite gown designer has gowns from around $1,700 to $7,000 adorning their racks so there's always something for any bride's price point. If you’re voluptuous, look for a gown that will hug but not cling to your curves. You’ll want to choose stiffer fabrics like duchesse satin or taffeta. If you want to make it look softer, you can always use these as a base and then add a thin overlay of embroidered tulle for sparkle and romance. Slim Draping or pleats will give the illusion of curves and an A-line skirt will give fullness. For the petite or athletic bride, a sheath- style gown will elongate your frame and drop waists will even out the ratio of torso to legs. Opting for a deep V-neck will suit those with a slender upper body or a low-cut back will flatter sculpted shoulders. Don't follow the trends too closely, remember that puffy sleeves and hoop skirts were trending in the eighties - fashion may be cyclic but choosing something a little more timeless will make you still love those wedding photos a couple of decades in the future.